Men and women alike may go weak at the knees at the thought of a marriage proposal (sometimes for very different reasons). Generally it's a rare occurrence, a special moment, an interlude that holds memories for ever and a turning point in life. You want to get it right. Whilst some lovely proposals have happened watching the footie on TV, others may want to put in a bit of different thoughts and step into something a bit more unique. You've found the person you want to spend the rest of your life with, you've made the decision, you have the ring. Now all you need is the location. Here are a few suggestions to make your moment even more memorable. Do you know some other amazing places to propose in this area? Or were you proposed to in a magical way? Add a comment in here and let us know about your thoughts and experiences, we'd love to hear from you. Whilst it may not be quite as magical as some of its European sisters, Australia's highest peak - Mt Kosciusko is a magical location. No matter the season, it is a lovely walk filled with beautiful views and each season brings its own style of beauty to this area. Imagine your loved one being awoken early (before dawn), driven out to a magical location, the mist rising in the early morning air to be surprised by an unfolding balloon. As you climb into the basket and are lifted up into the air, the flame will billow the balloon above you as you float away under the massive canopy. Gaze over the earth as it awakens a sense of connection and let peace unfold all around you. This could be just the moment for that special question that could change your life. Balloon Aloft offer sunrise balloon flights over Camden Valley, only 50 minutes south-west of Sydney, or the Hunter Valley, 2 hours north of Sydney or 45 minutes from Newcastle. 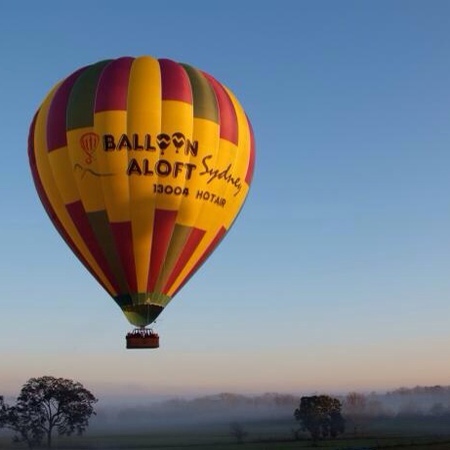 12 month Balloon Ride Gift Vouchers are available. 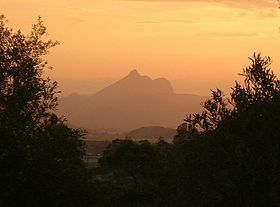 Although it may sound a little ominous, perhaps you may share with your loved one that Mt Warning is actually the first place in Australia to see the sun rise every morning. If you decide to be up there early enough to see the sun break through, you had better hope your loved one is up to the tough trek in the dark. Slowly inching you way to the top, you may be able to symbolically imply it is the perfect place to start a new stage in a relationship, bending down, where could be better for your big question. Why? Who can resist a fun and heartfelt wedding proposal?